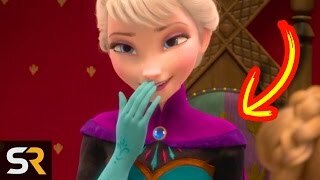 10 Most Paused Disney Movie Moments! 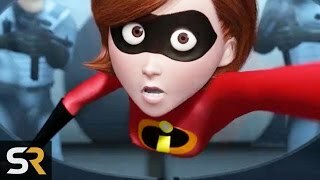 The folks at Disney and Pixar have packed their films full of hidden details, references and Easter eggs, and you job is to find the right places to pause, so you can take it all in. That’s right, these little in-jokes and references sometimes can’t even be spotted if you’re not willing to have your remote on you to pause the movie at the right moment. Just try to catch the blurry image of Darla, the brace-faced teen from Finding Nemo, in the background of a shot from Finding Dory. 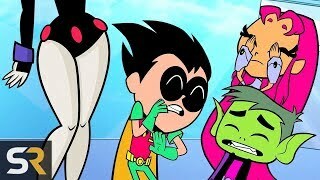 Sometimes, there was no way the first audiences would even know that they were looking at an Easter egg! Fans of Pixar call these “predictive eggs,” in which the team leaves hints and clues about future movies, like when Lots-O’-Huggin Bear made a cameo in Up before starring as the main villain in Toy Story 3, or a kid in the dentist office in Finding Nemo can be seen reading a “Mr. 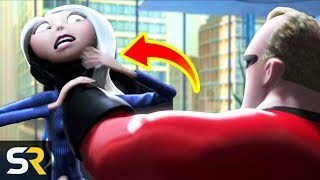 Incredible” comic, even though The Incredibles came out a year later. Other details are just nice little things that tie the films together, like a “Wanted” poster for Hans from Frozen that appears in Big Hero 6, the cameo that a grown-up Sid, from Toy Story, makes as the garbage man in Toy Story 3, or the fact that the memory orbs from Inside Out include images from other Pixar movies. 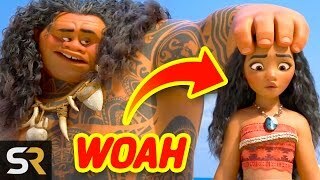 Other little crossovers include the scene where Maui, from Moana, transforms into Sven the Reindeer from Frozen, or when the candies from Sugar Land in Wreck-it-Ralph appear in Frozen. 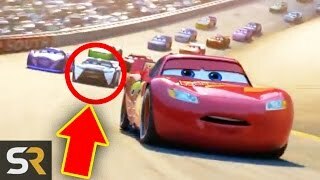 10 Movie Mistakes That Disney Made Without Getting Caught! 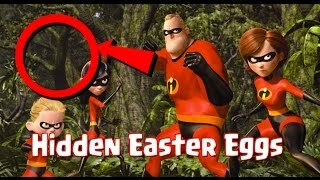 The Incredibles Easter Eggs, Let's Find All Pixar's Hidden Secrets!